Thatching Advisory Services visited a newly thatched property in the pretty village of Lympstone in East Devon, the thatching was carried out by West Country Thatchers. 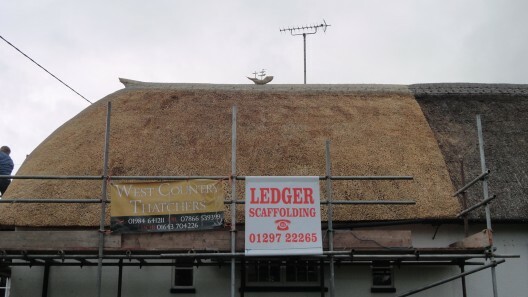 The choice of an old styled sailing galleon was apt for this job, because centuries ago in winter time the ship builders would come up from the harbour on the River Exe, and build houses in the village. This property allegedly has an old mast as its main beam. 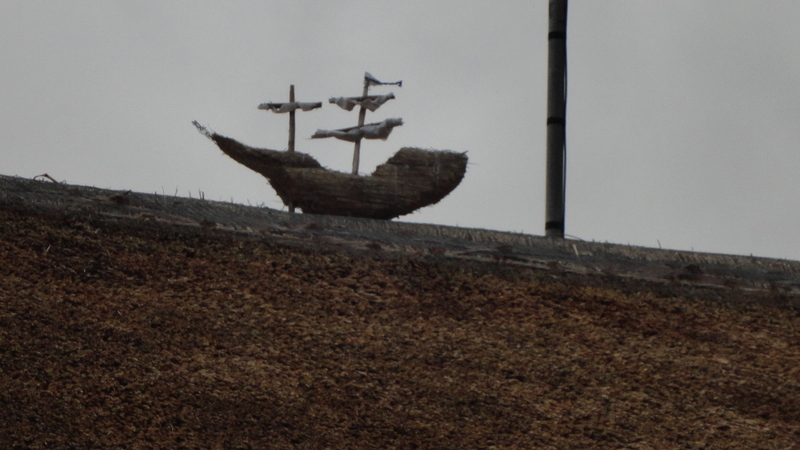 The more unusual choice of a thatched galleon came complete with masts adorned with cloth sails. It was handcrafted by West Country Thatchers.